Best value home on a market! Looking for privacy and seclusion?This is it! 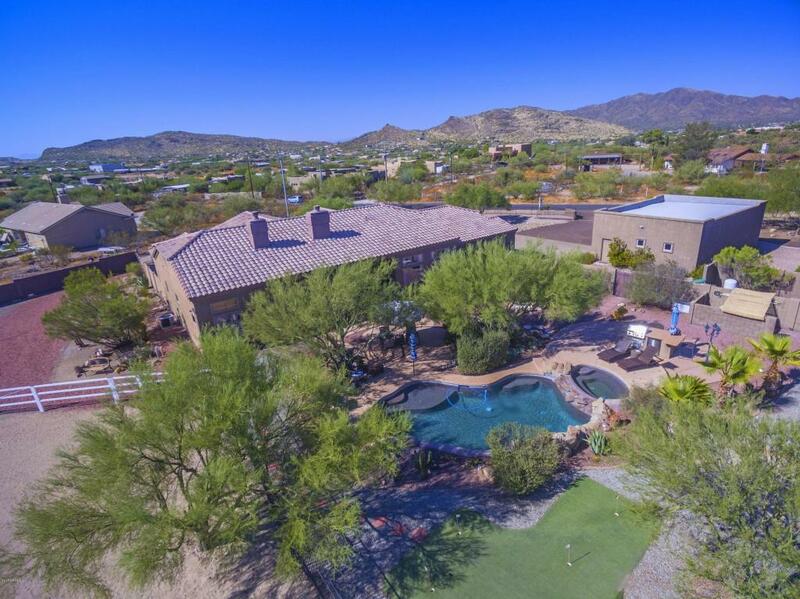 This beautiful horse property offering everything you looking for, gated and fully landscaped large 1.8 acre lot with stunning mountain views 360 degrees, paved roads, riding trails of the property, 1/4 miles from Tonto National Forest, level usable land, 2 stalls with water, large arena. Pride of ownership, this home was tastefully renovated and upgraded with granite counter tops, stainless steel appliances, new HVAC... Split floor plan, huge master suite, his and hers closets, separate tub and shower, double sinks, fireplace, tall 14ft ceiling. Detached oversized 3 car garage (28ftx38ft). Resort style backyard, Pebble Tec pool, heated spa, beautiful desert landscaping. Private well. Home warranty included.Epoxy garage flooring , built-in garage cabinets. N?S exposure, large covered patio. NO HOA, bring your toys!!! List of improvements can be found under doc tab.